California Sen. Kamala Harris announced her campaign for president this week, raising a staggering $1.5 million in the subsequent 24 hours. 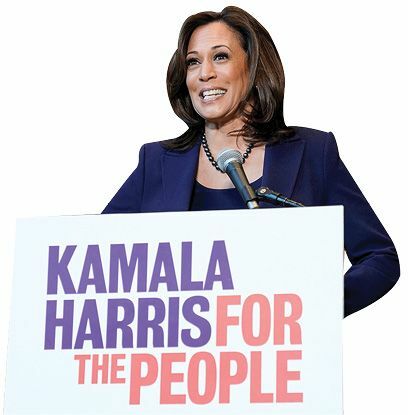 After revealing her candidacy on ABC’s Good Morning America, Harris, 54, said she would officially launch her campaign this week in her birthplace, Oakland, and then campaign in South Carolina, an early-primary state. The daughter of Jamaican and Indian immigrants was elected to the Senate in 2016, after serving as California attorney general and San Francisco district attorney. Her record as a tough-on-crime prosecutor is already drawing criticism from progressives, though Harris describes herself as a “progressive prosecutor” who also supports “Medicare for all” and “the largest middle-class tax cut in history.” South Bend, Ind., Mayor Pete Buttigieg also entered the crowded primary race this week. At 37, the Afghan War veteran is the youngest to declare. A group of 376 migrants, mostly from Guatemala, gave themselves up to border officials last week after tunneling under a steel border fence about 10 miles from the nearest port of entry. The group of asylum seekers, which included 176 children, was the largest ever detained in the Yuma area. “In my 30 years with the Border Patrol,” Anthony Porvaznik said, “I have not been part of arresting a group of 376 people. That’s really unheard-of.” A long line formed while migrants, reportedly with the help of smugglers, dug seven holes in the sandy soil underneath the fence, and then waited on the U.S. side for agents to process them. Border officials said the fence is meant to stop vehicles and would need a concrete base to subvert tunneling. 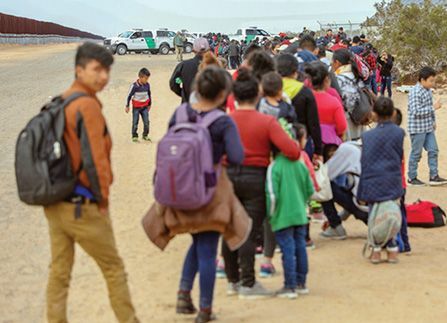 An additional 350-plus Central American migrants gave themselves up to border officials in New Mexico in the following days. The Supreme Court’s conservative majority allowed the prohibition on most transgender people from serving in the military to take effect while appeals are heard in California and Washington state. The 5-4 decision this week sends the rule back to a lower court. The ban was announced by President Trump in July 2017 after the Obama administration opened the military to transgender people the previous year. There are now roughly 14,700 transgender troops in the military, and it’s not clear if they will affected at this time. In other actions, the court disappointed the White House’s hopes for a win on immigration, declining an appeal of a 9th Circuit ruling that allows the DACA, or “Dreamers,” program to continue. The justices did agree to hear, likely in October, their first major Second Amendment case in a decade—a challenge to New York City’s restrictions on where gun owners can take their handguns. Former police officer Jason Van Dyke was sentenced last week to six years and nine months in prison for the shooting death of Laquan McDonald. After Van Dyke, who is white, was convicted last October of second-degree murder and 16 counts of aggravated assault—one for each bullet that hit McDonald’s body in 2014 as the black 17-year-old walked away from Van Dyke while carrying a small knife—prosecutors sought a sentence of 18 to 20 years. Protesters called the judge’s decision outrageously lenient. Van Dyke’s attorney, Daniel Herbert, says his client expects to serve three years in custody. “He truly felt great,” Herbert said. A day earlier, a judge acquitted three Chicago police officers charged with covering up the circumstances of McDonald’s death, which was captured on a police dashboard camera. Van Dyke was the first Chicago cop convicted of murder for an on-duty shooting in half a century. 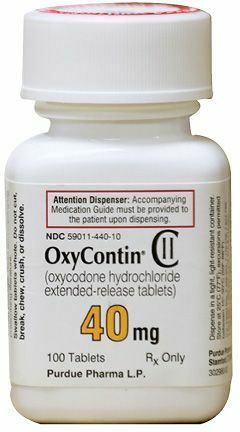 Members of the family behind Purdue Pharma, which makes OxyContin, are accused of directing years of efforts to mislead doctors and patients about the opioid painkiller, according to a court filing last week. Massachusetts Attorney General Maura Healey says the Sackler family pressed Purdue to make misleading claims about the dangers of opioids, blaming addicts for any misuse, and encouraged doctors to prescribe OxyContin longer than necessary—charges the Sacklers vehemently denied. Richard Sackler, the son of Purdue’s founder, allegedly told an audience at a launch party for OxyContin in 1996 that it would lead to “a blizzard of prescriptions that will bury the competition.” By 2001, Sackler, then Purdue’s president, said in an email, “We have to hammer on abusers in every way possible. They are the culprits and the problem. They are reckless criminals.” Since OxyContin came on the market, more than 200,000 people in the U.S. have died from overdoses involving prescription opioids. 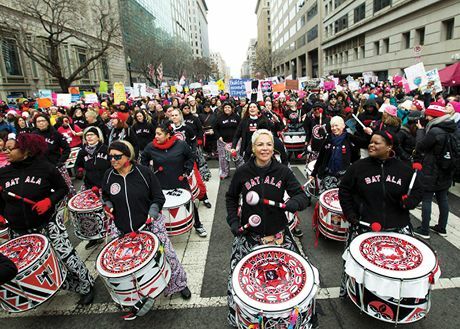 Several thousand women gathered last week in the nation’s capital for the third annual Women’s March, a far cry from the half-million who turned out in Washington the day after President Trump’s inauguration. Bad weather was a factor, though the rally was also clouded by controversies surrounding Women’s March leadership, particularly over co-president Tamika Mallory’s embrace of Nation of Islam leader and outspoken anti-Semite Louis Farrakhan. Several progressive organizations, including the Democratic National Committee, yanked their sponsorship and backed competing rallies in Washington, New York City, Philadelphia, and elsewhere. Many protesters set aside the infighting, however, as they celebrated the election of a record number of women to Congress and joined in chants supporting abortion rights and calling for an end to the government shutdown.